Image Processing, Pattern Recognition, Speech Recognition, Parallel Processing. · Chaikan, P., Karnjanadecha, M., 2010, �Person Recognition using Fingerprints and Top-View Finger Images,� Songklanakarin Journal of Science and Technology, Vol. 32, No. 1, pp.71-79, January-February 2010. · Chaikan, P., and Mitatha, S., �An Improvement of MCS-51 Performance using Pipeline Technique,� Ladkrabang Engineering Journal, Vol. 4, pp. 37-42, 2001. · Chaikan, P., Mitatha, S., �Improving the addWeighted Function in OpenCV 3.0 using SSE and AVX intrinsics, Proceedings of the 2015 International Conference on Computer Systems and Instrumentation (ICCSI2015), pp57-61, Singapore. December 16-17, 2015. · Masamae I., Chaikan P., �Integrating Lip-Reading and Thai Speech to Control Electronic Devices in a Vehicle,� The 5th IEEE International Conference on System Engineering and Technology:ICSET2015,� pp.31-34, Shah Alam, Malaysia, August. 10-11, 2015. 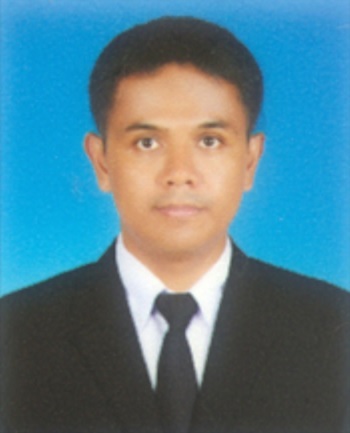 · Chaikan, P., �A Review of Speech Processing Technologies for Solving Thai Word Mispronunciations,� Proceedings of the 2012 International Conference on Applied Computer Technology and Information Systems, pp14-18, Songkhla, Thailand, September 21-22, 2012. · Chaikan, P., Karnjanaecha, M., "The Use of Top-View Finger Image for Personal Identification ", Proc. of the 5th International Symposium of Image and Signal Processing and Analysis: ISPA2007", pp. 343-346, Istanbul, Turkey, Sept. 27-29, 2007. · Chaikan, P., Karnjanaecha, M., "A Reference Point Detection Algorithm for Top-View Finger Image Recognition ", Proc. of the 5th International Symposium of Image and Signal Processing and Analysis: ISPA2007", pp. 347-350, Istanbul, Turkey, Sept. 27-29, 2007. · Chaikan, P., Karnjanadecha, M., �Integrating Fingerprint and Top-View Finger Image for Personal Verification,� Proceedings of the 7th PSU Engineering Conference - PEC7, Faculty of Engineering PSU, Hatyai, Songkhla, Thailand, pp. 157-160, May 21-22, 2009. · Chaikan, P., Karnjanadecha, M., �A Systematic Method for Fingerprint Post-Processing,� Proceedings of the 6th PSU Engineering Conference � PEC6, Faculty of Engineering PSU, Hatyai, Songkhla, Thailand, pp. 115-118, May 8-9, 2008. · Suwannarat, K., Karnjanadecha, M., Khaorapapong, T., and Chaikan, P., "A Multi-Chammel Incremental Encoder Interfacing Circuit Design Using FPGA", Proceedings of the ECTI 2006 Conference, Ubon Rachathani, Thailand, pp. 307-311, May 10-12, 2006. · Chaikan, P. and Mitatha, S., �Reconsidering the structure of a pipeline enabled 8051 microprocessor,� Proceedings of the 4th Information and Computer Engineering Postgraduate Workshop � ICEP2004, Phuket, Thailand, pp. 147-151, Jan 22-23, 2004. · Chaikan, P., �An Improvement of the divide operation in a pipeline processor,� Proceedings of the 3rd Information and Computer Engineering Postgraduate Workshop � ICEP2003, Songkhla, Thailand, pp. 187-190, Jan 30-31, 2003. · กรกต สุวรรณรัตน์, มนตรี กาญจนะเดชะ, ธเนศ เคารพาพงศ์ และปัญญยศ ไชยกาฬ, "การประมาณค่าความเร็วตัวเข้ารหัสแบบหมุนชนิดเพิ่มค่าด้วยวิธีวัดความกว้างเต็มคาบโดยใช้เอฟพีจีเอ", การประชุมเสนอผลงานวิจัยระดับบัณฑิตศึกษา มหาวิทยาลัยสงขลานครินทร์ ครั้งที่ 4 , ศูนย์ปาฐกถาประดิษฐ์ เชยจิตร, มหาวิทยาลัยสงขลานครินทร์, 31 มีนาคม 2549.